I am lucky to be alive. Seriously. That I reached adulthood is nothing short of a divine miracle. You see I was raised in the era when gluten was everywhere, everything in the grocery store was genetically modified, and political correctness meant you voted on the appointed day. Today life seems so complicated. Kids are sensitive to everything they eat, Monsanto is the very embodiment of Satan, and lord forbid you try and express a political opinion. In today’s hashtag filled, sound bite, gluten sensitive, internet-trolled world, for a company to succeed, they have to try to appease everyone lest they fall victim to the politically correctness demons that seek to virally destroy everything they find offensive or disagree with. A company has to preach that it’s free of gluten, sin, and gentle on Mother Earth. Sure, some of this is good, there are after all people allergic to certain things; although they now have to come up with a house payment to buy the EpiPen needed to save their life. For the most part however we must tread lightly, watch what we eat, and kiss the ground on a daily basis (while trying to ensure that are carbon footprint is as small as possible while doing so of course). 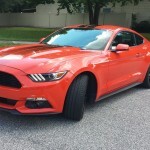 All this occurred to me this week as I tooled around in a 2016 Ford Mustang. Sure, it’s a great car, iconic, pure American. Nevertheless, even though it’s fast, sporty, and still fun to drive, in fact the model I tested is a hollowed version of what it once was. 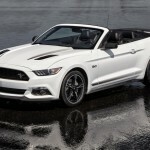 The 2016 Mustang comes in a coupe or a soft-top convertible. There are five trim levels: V6, EcoBoost, EcoBoost Premium, GT and GT Premium. The changes for 2016 are mainly electronic. 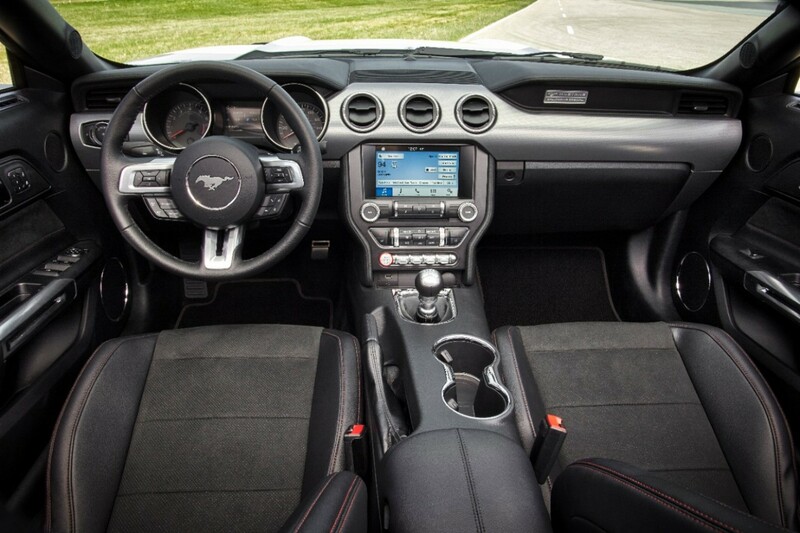 The Mustang’s optional MyFord Touch infotainment system is now the new Sync 3 system with a simpler interface. 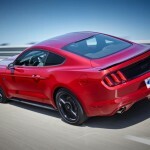 The EcoBoost and GT coupes add the available black-painted roof. The GT Performance can now be had on the convertible as well as the coupe, and all GT models get standard secondary turn signals that are integrated into the hood vents. 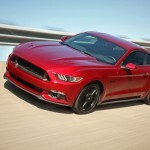 Newly offered bundles include the Black Accent and California Special packages (GT) and the Pony package (EcoBoost). 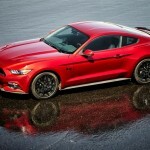 The new Shelby GT350 is a whole different animal that requires its own separate review, and one I hope to do someday. The base V6 has power accessories including cruise control, keyless ignition and entry, a rearview camera, manual front seats with driver-side height adjustment, the Sync voice control system, Bluetooth, a 4.2-inch central display screen. It also has the MyKey parental controls, Track Apps performance telemetry and a six-speaker sound system with a CD player and dual USB ports. As options you can step up the 17-inch alloy wheels to 18s, add a rear spoiler, a six-way power driver’s seat, and LED foglights. The EcoBoost trim has all the V6 stuff including the options, includes the 18-inch wheels (with a different design), and adds a six-way passenger seat. There’s also aluminum dashboard trim and active noise cancellation. 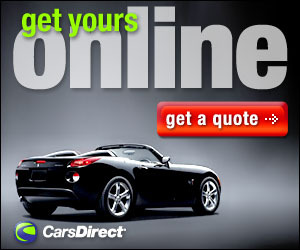 The options include Recaro sport seats, and an EcoBoost Performance package. The package deletes the spoiler, shortens the gearing up for quicker acceleration, upgraded brakes, enhanced engine cooling featuring a larger radiator, along with sport tuned suspension and steering. There’s also additional gauges. 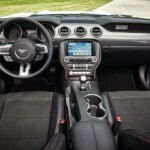 The EcoBoost Premium adds leather to the Recaro sport seats, as well as ambient interior lighting, aluminum and chrome accents, navigation, satellite radio with a 9-speaked sound system, selectable drive modes, dual-zone automatic climate control, heated and ventilated front seats, and an 8-inch touchscreen. Options (besides the Recaro seats), include trim and color packages, a navigation system, adaptive cruise control with forward collision alert, automatic wipers, blind-spot monitoring, rear cross-traffic alert, driver memory settings (not available with the Recaro seats), HD radio and a 12-speaker Shaker audio system. There’s also a “Pony” package with 19-inch wheels, a distinctive front fascia and other trim additions. 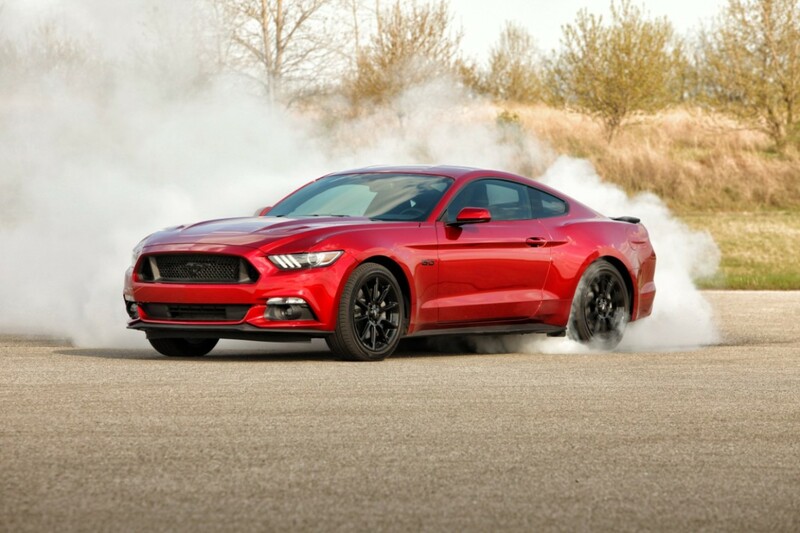 The top of the line GT has the biggest engine, a V8, in the lineup and the list of features mirror those of the EcoBoost trim except for upgraded brakes and electronic line lock. The manual transmission variant has launch control .The optional GT performance package differs with Brembo front brakes, and a Torsen limited-slip differential. There is also the Black accent package with 19-inch black alloy wheels, blackout badges, and a black rear spoiler. Finally, you can get rear parking sensors as an option across the lineup; the EcoBoost and GT coupes can now get the black painted roof, while the Premiums can option on 20-inch wheels. There are three engines across the line with either a six-speed manual, or a six-speed automatic with paddle shifters. The V6 is a 3.7-liter with 300 hp and 280 pound-feet of torque for the base models ,a 2.3 liter turbocharged EcoBoost 4-cylinder with 310 hp and 320 lb-ft of torque, and finally a 5.0-liter V8 that spits out 435 hp and 400 lb-ft torque. So here’s where my bump in the Mustang road shows up. 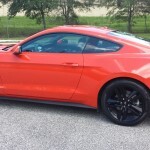 Of course the Mustang looks great; my tester for the week was competition orange with ebony pin striping and black painted wheels; easily one of the best looking Mustangs I have seen in recent years. But I had the EcoBoost Premium model for the week. Yes, it looked great, and the EcoBoost is a fantastic engine. It was combined with the six-speed manual (which is the only way to have a Mustang in my opinion), and made for a fun week. But even though the 4-cylinder was fine (I coaxed 0-60 in just under 5.8 seconds), I knew the entire time that there wasn’t a V8 under the hood. You can hear it when you get aggressive on the accelerator and the deep resonant bass only eight cylinders can provide is missing, despite the engineered sounds coming in the cabin. 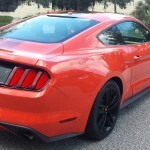 Yes, the 2.3-liter Mustang is fun, fast, and looks great. However, it’s like seeing Mount Rushmore and knowing that it’s actually made of plaster and has a wooden skeleton behind it instead of being solid stone. Sure you save fuel, thus helping Mother Earth, but are the differences really worth it? Is the performance of the 2.3 liter, and fun, just as good as the 5.0 V8? Sadly I can’t tell you. Because Ford has sent me two Mustangs in the past two years; the most recent 2016 model, and the 2015 last year. Both had the 2.3-liter EcoBoost. There could be a world of difference, but I can’t tell you if there is. 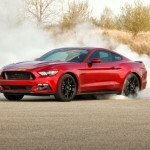 Some argument can be made that an 8-cylinder Mustang could be too much for some. That so much power could be dangerous in the wrong hands. The 2.3 liter has less horsepower, while the V8 has 125 more and 80 ft-lbs more torque. But, in my opinion, if you can’t run with the big dogs, stay the heck on the porch. I suspect there is indeed a big difference between the 2.3-liter and the 5.0, solid stone as opposed to plaster. Perhaps someday soon Ford will send me a Mustang with the engine that belongs under the hood, the good old big V8 and I can report if there are truly any differences. For now the gluten free, non-GMO version otherwise known as the Mustang EcoBoost will continue to pacify the politically correct people who swear we need such a thing, and keep the trolls at bay. Maybe I am just getting old and cantankerous (you kids get of my damn lawn) , or maybe I long for the days when we didn’t care if we ate a ton genetically modified, gluten filled food, and trolls only lived under bridges. 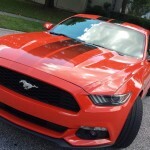 Either way, while the EcoBoost Mustang is a fine car, without the V8 under the hood, it will just never be the same. Rear shoulder room: 52.2 in. Cargo capacity, all seats in place: 13.5 cu.ft.